We were recently invited to sample the Bastille Day menu at The Peninsula Chicago. We were not financially compensated and all opinions expressed are our own. Viva la France! 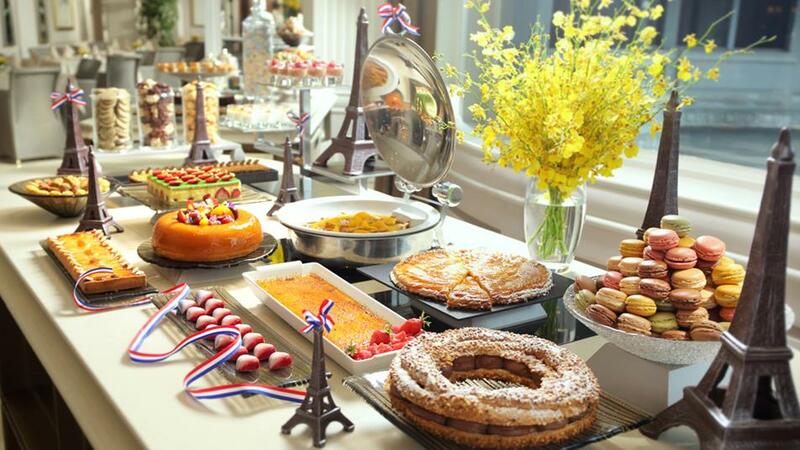 We will use just about any excuse to celebrate France and especially French cuisine. Bastille Day, July 14th is no exception. Bastille Day celebrates French National Day and remembers the Fête de la Fédération, which was formed after a year of political struggle in France. Celebrations and parties are held throughout France and around the world. We recently had the opportunity to taste some of the offerings for the Bastille Day menu at the Pierrot Gourmet at The Peninsula in Chicago. Needless to say our appetite for all things French was certainly whetted by the delicious menu constructed by Executive Chef Mike Wehrle and Executive Pastry Chef Dimitri Fayard. 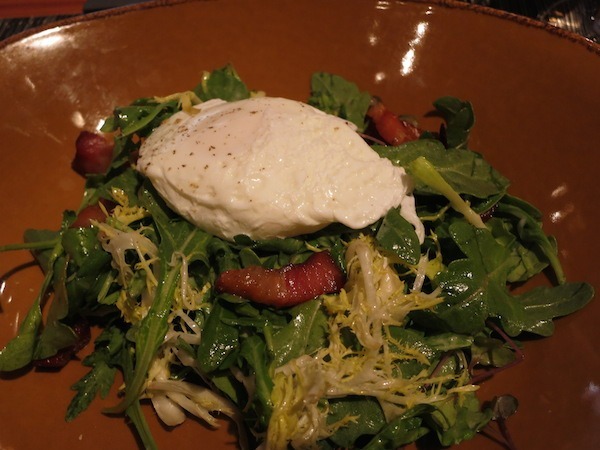 The classic Salad Lyonnais was a perfect start. The lardons were generously abundant and both crunchy and chewy while the champagne vinaigrette was light and tangy. 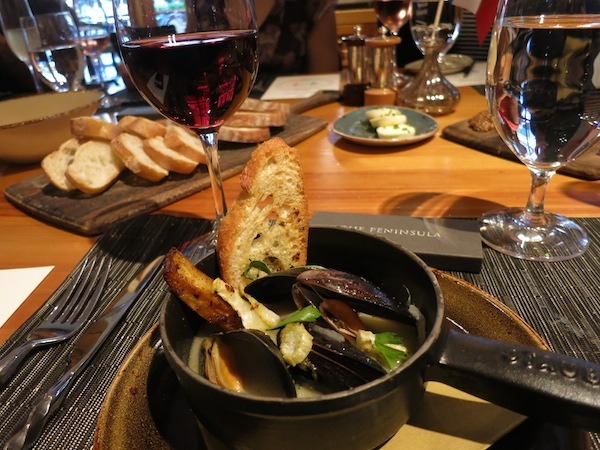 My personal favorite was the Bouchot Mussels perpared with pernod, fennel, fine herbs and served with crunchy country French bread. We were served a tasting portion but we saw the entree portion and it was very ample. The mussels were bathed in a delicious broth worthy of sopping up with the crispy toasted bread. Don’t waste a drop. 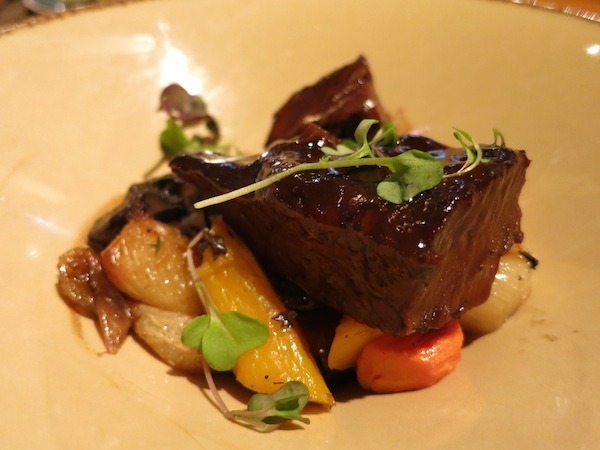 Another classic French dish, the Short Rib Bourguignon with cippollini, confit potatoes and carrots, was an excellent choice as well. The short rib melted in your mouth along with the rich winey sauce. The pièce de résistance of course is the desserts. We tried three beauties. Mousse Chocolat Facon Grand-Mere featuring dark chocolate mousse, topped with vanilla bean ice cream, Tarte Tatin with carmelized apple tart, puff pastry and creme fraiche, and Flan Parisien cooked custard tart with caramel sauce. 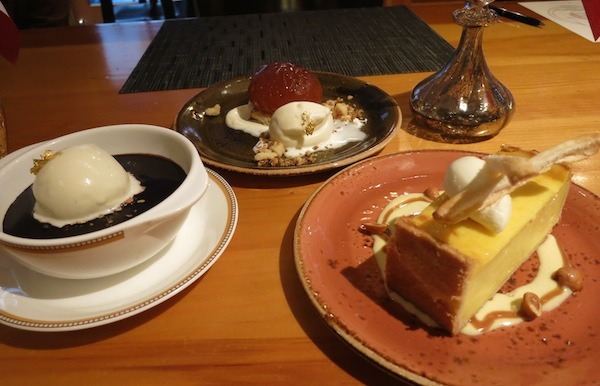 Make sure you leave room to try at least one of these delightful desserts. 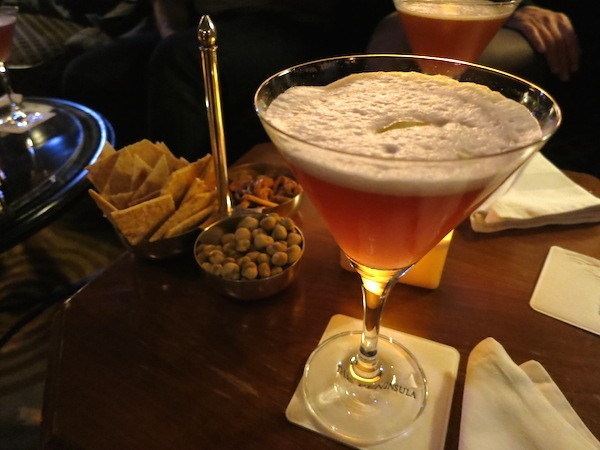 When you’re done with dinner take a quick elevator ride up to The Bar in The Peninsula Chicago for an intimate quiet libation in this country club type setting. This bar is sure to please anyone you host. 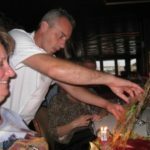 Whether you’re entertaining a new sweetie or a hard to impress client, they will not be disappointed. 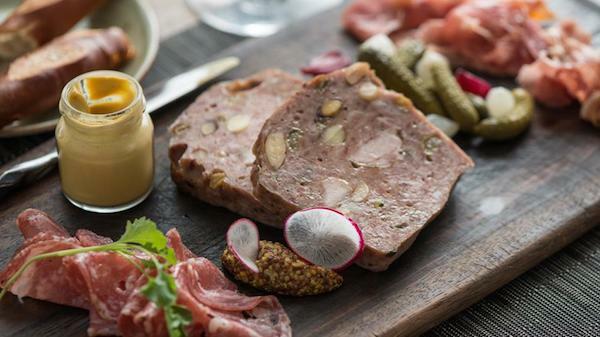 The Peninsula’s Bastille Day menu runs through August 14th. 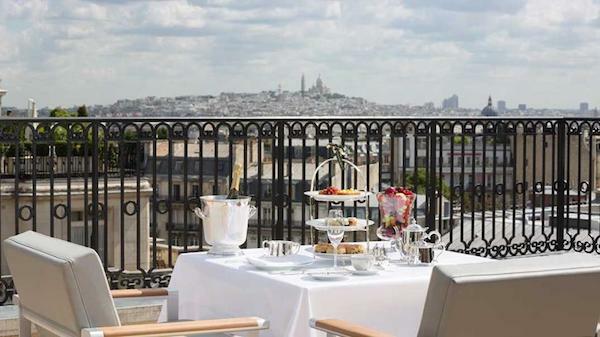 If you want to continue your Francophile cravings, all The Peninsula Hotels will be celebrating the opening of their The Peninsula Paris in August 2014 with the theme “All Things French”. From a French-inspired afternoon tea, and “Chocolate at the Pen” you are certain to find the perfect way to celebrate the French in style. Planning a trip to Paris? 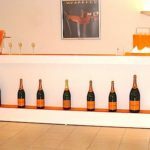 Champagne overlooking the Sacre Couer sounds spectacular to me! We can’t wait to visit the latest The Peninsula location. We had the good fortune to stay at The Peninsula in Beijing and all we can say is that we were completely spoiled by the staff, food and accommodations. Be sure to consider The Penisula for your next trip. 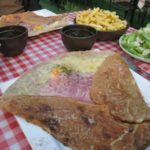 THE QUICK BITE: Happy Bastille Day! Celebrate at The Peninsula Chicago with a classic French menu delicious prepared and served in a French bistro style. Enjoy your scrumptious dinner indoors or out. 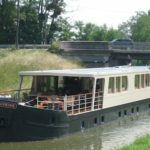 Don’t miss the latest The Peninsula in Paris!